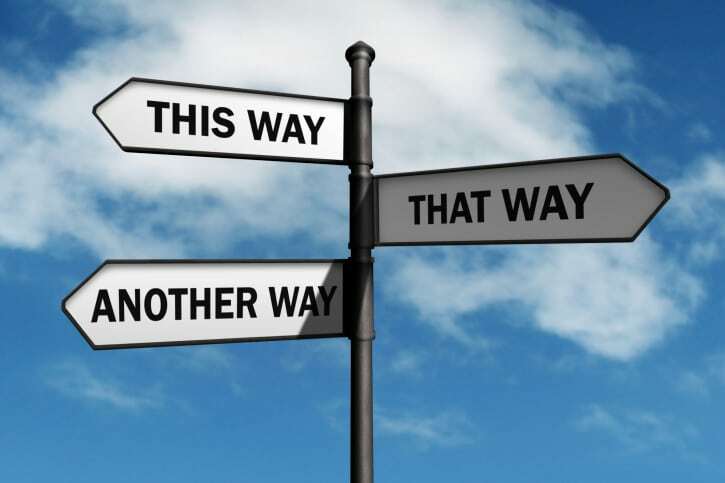 Every once in a while we all come to a crossroad where we are not sure what to do next. We think about it. We mull it. We consider our options. And then, we are still not sure what to do. At that point it’s really easy to stall. We are not sure what to do…so we do nothing. It’s paralysis by analysis. We have all been there. But remember that choosing to do nothing is still a choice. I think this happens (sometimes) because we feel like every decision is the “biggest” decision. It feels like this decision is a “forever decision.” Once we choose, we have to continue down this path for the rest our existence. Let me let you in on a secret. It’s probably not that big a decision. You probably don’t have to do it forever. This decision is just one of many. You can change your mind. And the sooner you choose, the sooner you learn if you were wrong or right. Both are ok. Just know that almost no decision is forever. (As a side note, I think we add this pressure to the kids coming out of high school today. We tell them “This is the most important decision of your life.” And it’s important…sure. But I am a person that chose a college and changed…then chose a major and changed…and it was fine. The fact is, most people that go into college make a similar change…and it’s fine). You live and you learn, and you move on. But first you have to choose to do something. If you want to make sure you never miss an update, sign up for our VIP newsletter here. And of course if you want to “choose” from some amazing Promo items, you can shop here now.